What's that in the hamper? Is it a bedspread? Is it a parachute? No, it's giant underpants! These grande sized knickers are perfect for that skinny person that constantly complains about their weight or are a way to tell your significant other that you lead a double life as a chubby chaser. 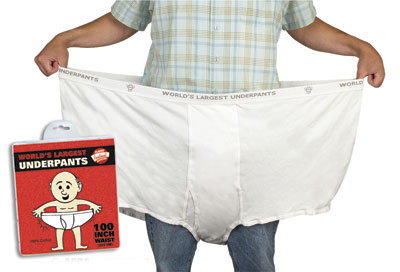 The world's largest underwear are sure to make a giant introduction at your next event! When it comes to the world of underwear, there are so many styles to choose from things can get confusing. We love that we can chuck personal preferences out the window and satisfy the needs of the masses with one pair of The World’s Largest Underpants. 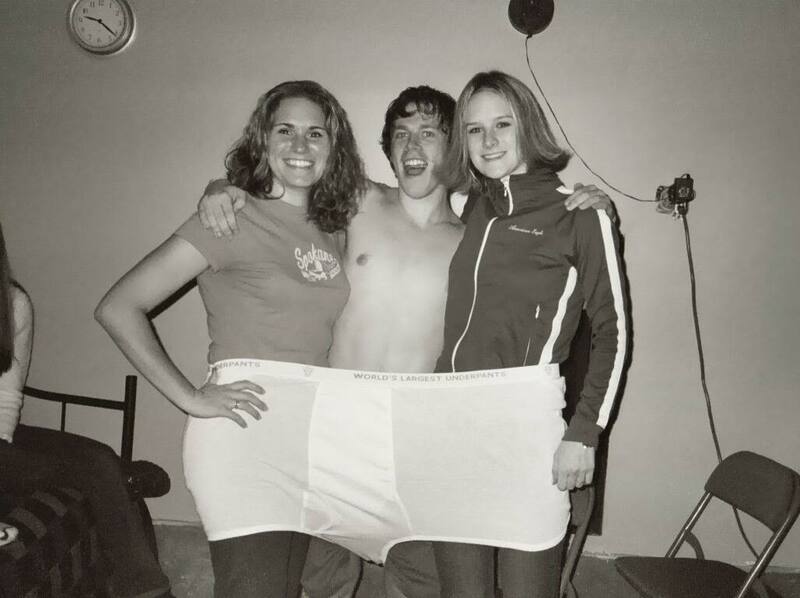 Plus, these oversized undies are perfect for party games and team building exercises. When you’re six people deep into a pair of underwear, it takes a concerted effort from everyone involved to get from point A to point B. The picture doesn't do them justice. Those things are monsters! Hilarious!